Go Travel is a traveller’s pocket guide to travelling well! This step by step guide is a culmination of the Progressive Traveller’s personal travel tips and advice collected over four decades of travelling as an independent traveller. A guide for anyone and everyone who travels or is thinking about travelling. It’s also an informative book for travel bloggers and bloggers all over the world. 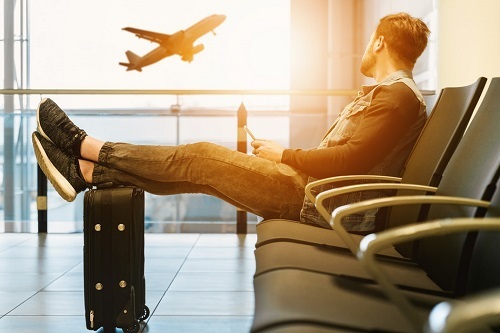 These travel tips and advice will help alleviate your fears and give you the tools and confidence to travel solo or take on the world with a loved one. Prepare, plan and Go Travel, with Progressive Traveller’s strategic advice on the vital trip-planning tools. 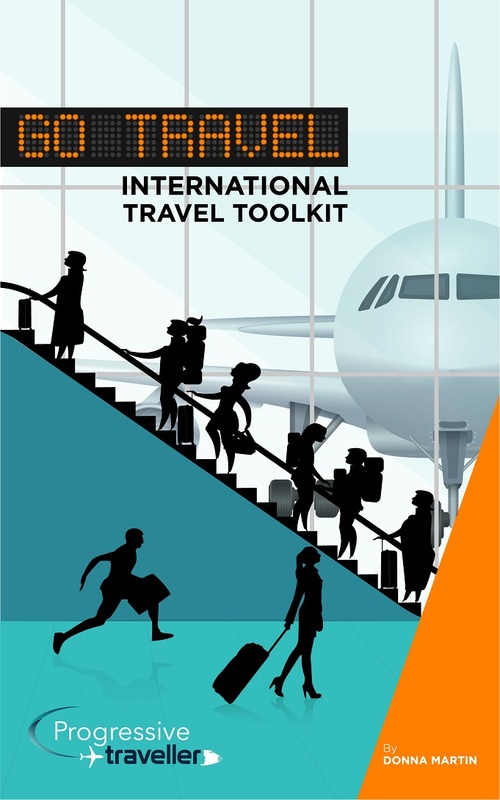 Discover useful resources including an airport and air-travel guide plus a host of travel tips and packing lists that you can use over and over again. Loaded with product information, health and safety advice, as well the Progressive Traveller’s Pro Tips from personal experience. This guide shows you how the Progressive Traveller budgets and saves for travel and connects with local culture, while skipping the lines and avoiding the crowds. So, whether you’re a first-time traveller or a seasoned pro, let the Progressive Traveller guide you through everything you need to know before you travel. Firstly, I want to emphasise that you really don’t need half the stuff you pack for travel. Over the last four decades, I have learnt the art of embracing the lifestyle of a minimalist traveller. The majority of what I now pack into my bag is related to my blogging business. With the improvement of mobile devices, electronics and travel accessories, my luggage is becoming lighter each year. Having a series of packing lists can help you pack the right items in the right bags and help you to avoid excess luggage costs. Even the most free-spirited wanderer needs a checklist of things to pack. Sign up to the Progressive Traveller newsletter and receive your FREE packing checklist that you can save, print and use over and over again. On your trip you’ll meet two kinds of travellers – those who pack light and those who wish they had! Follow these tips and tricks to create an impressive travel wardrobe that reflects your personality. 1. Stick to a colour palette of 3 colours to avoid carrying items that don’t match. For me, I commonly choose black, white and a bright or pastel colour like orange, blue, or pink. 2. Pack only the essentials, and if you really need something, buy it. Remember everything you can buy in your country is likely to be available in the country you’re visiting. 3. Pack shoes that go with most outfits. 4. Leave room in your luggage for your purchases along the way. Check out the Go Travel eBook for all of the Progressive Traveller’s recommendations and learn how to find the cheapest flights, best accommodation deals and loads more. Learn more how to help prevent travel related health illnesses in the Progressive Traveller Go Travel eBook. Available here and also available on Amazon and other booksellers. Go Travel eBook will show you how to keep your money and passport safe while you are travelling, also tips for buying the right travel insurance. Bargaining tradition vary from country to country, so read up about your destination so you know what the accepted practice is. Changing money concerns many first time travellers, making the decision whether to take cash or travel cards can be daunting. Skyscanneris my favourite airline search engine for booking both my domestic and international flights. Also check out my pro tips on how to find the best and cheapest flights in my Go Travel eBook. For our Canadian and US travellers, unfortunately due to financial services laws, World Nomads cannot provide a discount. This promotional code cannot be used with any other discount offer, including World Nomads Members’ discount for travel insurance policy holders.